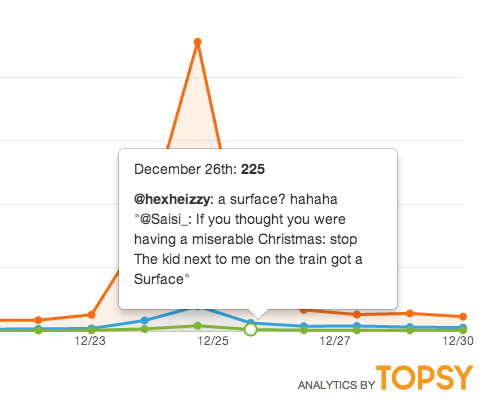 Twitter provided some very good omens on iPad sales over the Christmas holiday. As Apple 2.0 reports, the phrase ‘got iPad’ is top of the tablet charts by a huge margin for the Christmas period. If my calculator app is right, that puts the tweets for the Surface at about 0.03% of those for the iPad. You could almost says it takes some ‘real work’ to see a percentage that small. Looks like the iPad’s consumer appeal is still going strong, at least according to a report by retail analytics company Infoscout covering top selling items on Black Friday at 3 leading US retailers. 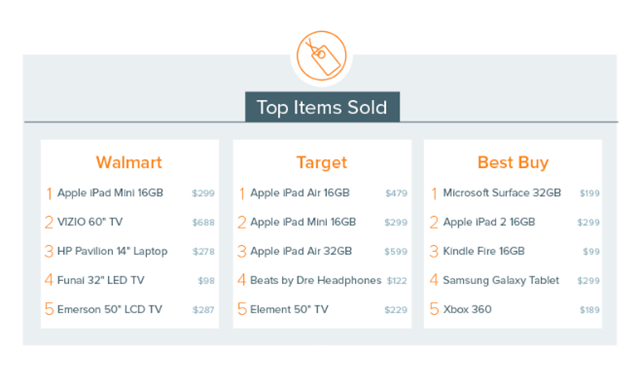 As Apple Insider reports, An iPad was the top selling product at two out of the three major US retailers covered by the report – the 16GB iPad mini was the Number 1 selling item at Walmart, while the 16GB iPad Air was Number 1 at Target. In fact at Target the top three sports were all iPad – with 16GB iPad mini and 32GB iPad Air in the 2nd and 3rd spots. At Best Buy the older iPad 2 was at the number 2 spot, trailing the Microsoft Surface RT. It’s more than a little shocking to see a Surface surface in the report – although it was selling at a heavily discounted price. Throw in sales at Apple’s own retail outlets and online store and it seems like the iPad may have had quite a good holiday weekend. A post at the NPD DisplaySearch blog predicts that smaller tablets are set to take over in 2013, and that the iPad mini will far outsell the iPad. The January panel shipment data may be an indicator for 2013, starting with Apple’s product mix shift. As we noted in December, Apple had planned to sell 40M iPad minis (7.9”) and 60M iPads (9.7”) in 2013. However, the reality seems to be the reverse, as the iPad mini has been more popular than the iPad. 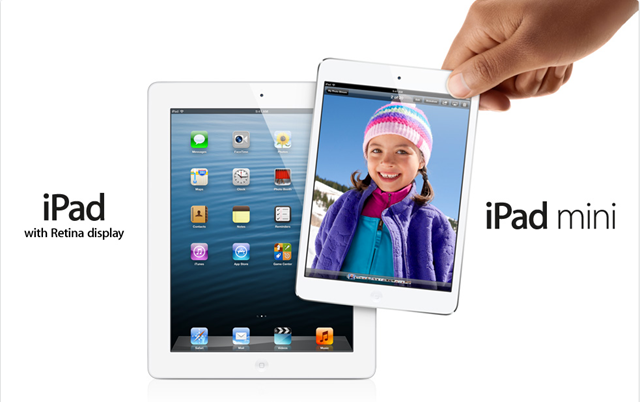 We now understand that Apple may be planning to sell 55M iPad minis (7.9”) and 33M iPads (9.7”) in 2013. I don’t find this sort of prediction very surprising. Like many others, I was initially a bit skeptical about how compelling a device the iPad mini would be, especially once we learned it would not have a retina display. But within just a couple days of using one I was already wondering how much use my ‘big’ iPad would get. As it turns out, my usage pattern between the two of them is probably around 80-20 in favor of the iPad mini now. For me, the wonderful lightness and form factor of the iPad mini more than compensate for the (current) lack of retina display. I know many others have found the same to be true – and they start realizing it within 5 minutes of picking up the iPad mini. And, as I said in my review of the iPad mini, when it gets a retina display it will be damn close to the perfect device. What do you all think? Do you agree that the iPad mini will likely outsell the iPad by a wide margin this year? Wow, here’s a table you don’t expect to see. It shows Apple as the clear leader in global PC shipments, by a clear margin. As 9to5Mac reports, the latest Q2 2012 data from Canalys shows Apple with a little over 21 million shipments for a 19% share of the world market, ahead of HP who have around 13.5 million shipments for a 12.5% share. 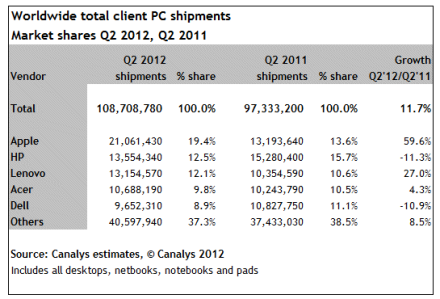 This data includes what Canalys calls ‘pads’ so the iPad is by far and away the biggest portion of the Apple numbers. If Canalys’ Q2 matches up to Apple’s financial Q3 reported just recently, we know that 17 million iPads and 4 million Macs were sold – which matches up nicely with the numbers above. Counting iPads as PCs doesn’t seem outrageous either, particularly with Microsoft calling their upcoming Surface a PC and a tablet. It’s incredible to think that two and a half years ago the first iPad hadn’t even hit the streets yet – and now its sales outstrip all PCs sold total by any PC manufacturer last quarter. I’m not normally one for listening to talks held with financial analysts, even when Apple are involved – but I was interested to tune in to the stream of Tim Cook’s talk at yesterday’s Goldman Sachs Technology and Internet Conference. 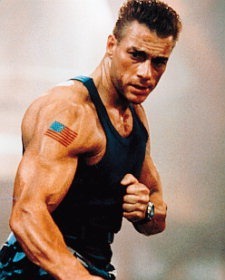 I’d heard that he had quite a bit to say about the iPad during this talk so I listened to it this morning. 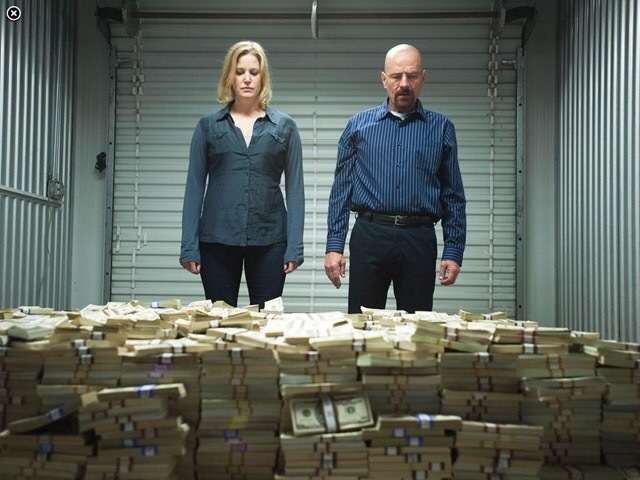 To put it in context, it took us 22 years to sell 55 million Macs; it took us about five years to sell 22 million iPods, it took us three years to sell that many iPhones. As you said it’s on a trajectory that’s off the charts. He notes that it’s being used by his mother, who took to it with ease; it’s being used by his trainer at the gym he goes to in the morning, it’s being used heavily in education and in the enterprise. And so from my point of view it’s the fastest adoption across a wide range that I’ve ever seen. 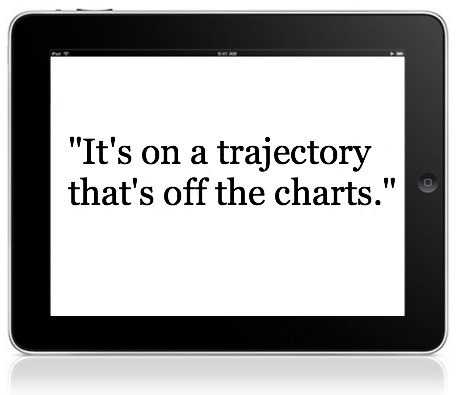 From Horace Dediu’s Asymco post on the second Year of the iPad in a row. The iPad has out-sold the Mac since inception and is now about three times the volume. However, the growth rate in the Mac has not changed much. The new data shows that the iPad alone would be the largest PC vendor and Apple with iPad and Mac combined is selling 5 million more units (or 30%) than the top PC vendor. Selling three times as many iPads as Macs at a time when Mac sales continue on a nice upward trend is impressive – but that last bit that I’ve bolded above is the truly amazing part. The new data (latest quarterly results) shows that iPad alone would be the biggest PC vendor if it was considered a computer. Maybe the Post-PC era that Steve Jobs talked about is not so far off. The iPad is an amazing and versatile device, and this week is providing plenty of evidence of the amazing numbers that back that up. Apple’s CEO, Tim Cook, has also offered up some thoughts on why the iPad is such a huge success and how huge its potential is. — As Alicia noted the other day, Apple sold over 40 million iPads in 2011, and over 15 million in the last quarter of the year. Both numbers are well ahead of all other tablets sold combined. 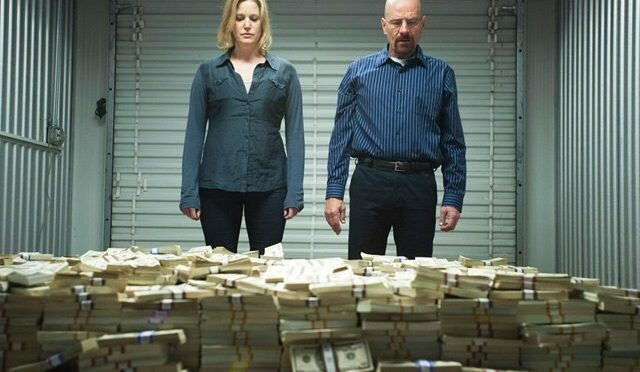 The 15 million sold is also triple the number of Macs sold in that quarter – and it was a record quarter for Mac sales. Tim Cook said in Apple’s earnings call earlier this week that he believes there will come a day when the tablet market is bigger than the PC market. Towards the end of the earnings call, Tim Cook dropped a huge nugget of information: led by 15 million iPads sold last quarter, the tablet market is now larger than the entire desktop PC market. 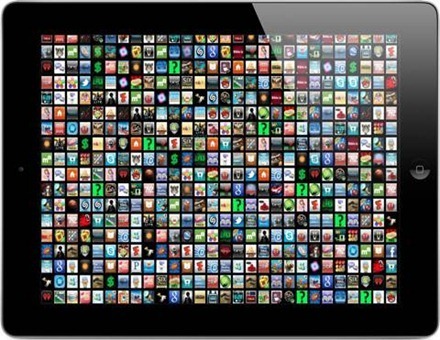 – More than 55 million iPads have been sold in less than two years on the market. Among the dozens of supposed rival Android, Windows, Blackberry and other tablets it doesn’t look likely that any of them have even sold 10 million thus far. Thanks to the success of Apple’s iPad, the Mac-maker accounted for 17.2 percent of all mobile PC shipments worldwide during the fourth quarter of 2010, making it the overall segment leader. DipslaySearch reports Apple shipped over 10.2 million MacBooks and iPads combined during the period, giving it the edge over closest competitors HP by almost a million units. Wow. That’s an impressive milestone for Apple – and well deserved as their laptops are just stellar devices. Oh, and the iPad’s contribution to this milestone is a massive one – since Apple told us last month during their earning call that they sold around 7.3 million iPads during their last quarter. So 70% of their market-leading 10 million units are iPads. 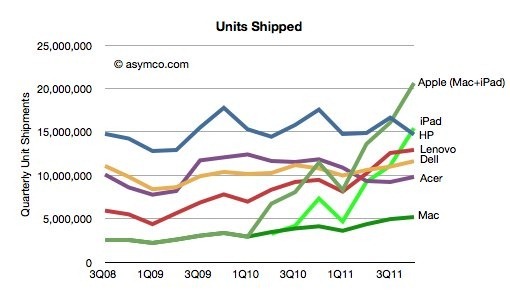 — The iPad outsold Macs – despite a record quarter for Macs! Almost 4.2 million iPads were sold – and over 3.9 million Macs.